As a big baker I’m very picky about my ingredients. I have to use quality flour, sugar, eggs, and butter to get delicious baked good. I was recently at the market and saw new Finlandia Imported Butter. I’ve never seen it before so I was excited to try it. I’ve had Finlandia Swiss Cheese before and found it to be high quality and delicious so I knew I’d like the butter as well. Now I don’t just use butter to bake. I like butter on my morning toast or muffins. In fact, I like to try butter on a bread product before baking with it so I can really get a feeling for the flavor. I found Finlandia Imported Butter to be absolutely delicious! It’s made from pure milk that is churned to create the perfect butter. It was so good that I wanted to try baking with it as well. I decided I wanted to make muffins to go along with this delicious butter. Nothing wakes me up in the morning like a cup of coffee and a fresh baked muffin with Finlandia Imported Butter spread on it. 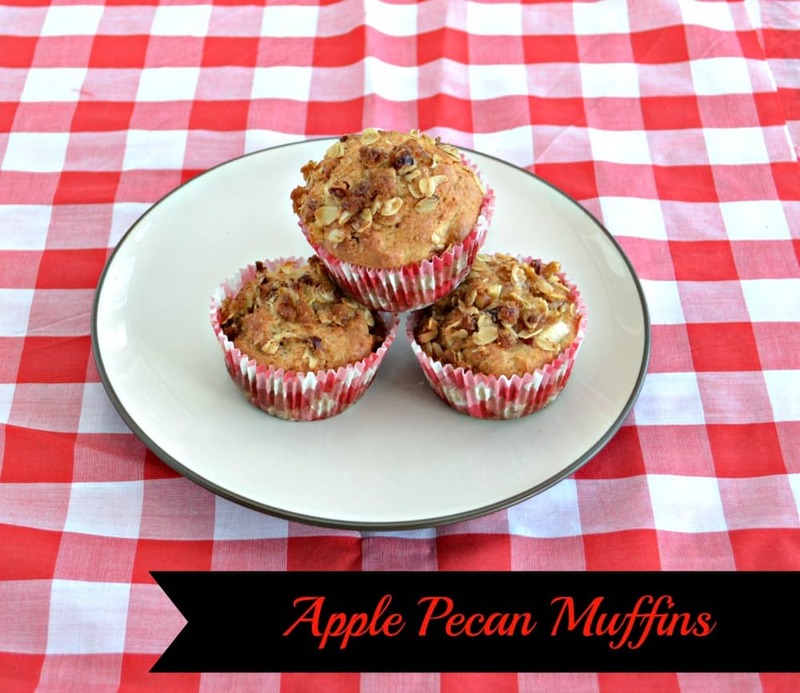 I had a few apples sitting in my fruit basket and some pecans in my cupboard so I made a simple apple pecan muffin. 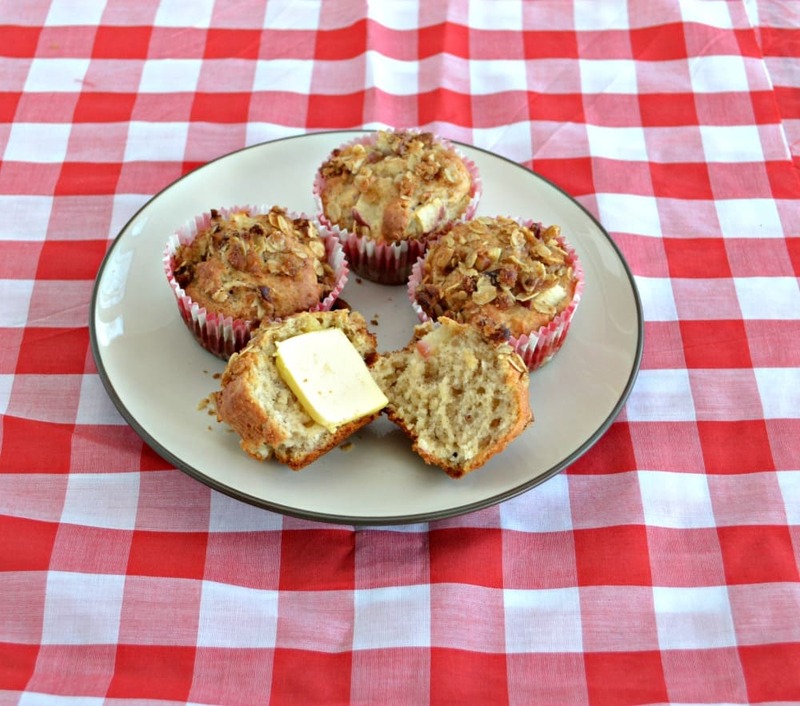 Although simple, this muffin is bursting with flavor from the sweet apples, to the crunchy pecans, to the spiciness of the cinnamon and nutmeg. I also topped it off with a buttery crumble topping. The muffins smelled amazing. They were soft and moist with a crunchy topping. I cut one apart for breakfast and spread it with Finlandia Imported salted butter. The combination of the salty and smooth butter with the spicy apple muffins was bliss. My husband totally agreed but enjoyed his with unsalted butter. I found Finlandia Imported Butter at Shop Rite. 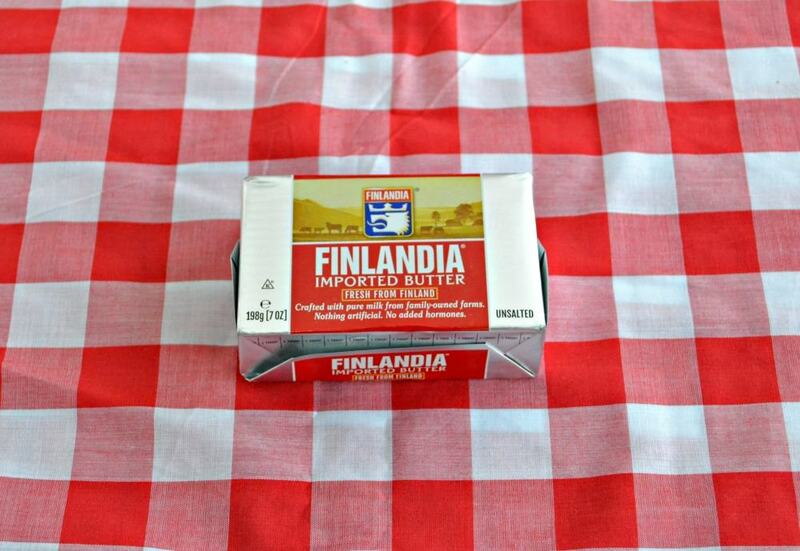 Would you like to try Finlandia butter for yourself? Enter to win a $25 gift card to Shop Rite and try it for yourself. Preheat the oven to 400 degrees. 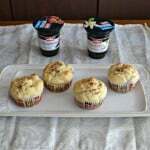 Line 2 muffin tins with 16 cupcake liners. Set aside. In a large bowl cream the butter and sugar. Add in the applesauce and mix well. Add in the egg and beat until combined. Stir in the vanilla and milk. In a medium bowl combine the flour, baking powder, cinnamon, nutmeg, and salt. Add the dry ingredients to the wet ingredients and mix until a dough forms. Gently fold in the pecans and apples. Fill the muffin cups ¾ of the way full with the muffin mixture. Combine all ingredients for the topping in a small bowl. Mix well. Divide between the muffins, sprinkling on top. Bake for 20-25 minutes or until a toothpick inserted into the center comes out clean. Allow to cool on a wire rack for at least 10 minutes. Serve with Finlandia Butter. Click the link to enter the giveaway for $25 Shop Rite Gift Card! Your muffins look great! I’d probably bake some cupcakes with the butter! I would use this on pancakes and muffins. I would use it on blueberry muffins! I would bake shortbread cookies! I would love to just put it on some toast. Its nice and simple. I would put the butter on scones. I wold bake a pound cake with the butter. Those muffins look great and who doesn’t’ love a good butter? I’ve never heard of this brand before. I’ll have to try it. I would use it on corn muffins. Thanks. Like to use in baking cookies, and taste it on toast or oatmeal, too. I would love to put this yummy butter on some fresh baked bread. I would put Finlandia butter on bagels! I would put this on my gluten free chocolate muffins. Yum! I think I’d like to try these muffins. They look fantastic. I would put the butter on my morning toast. I would bake blueberry muffins with the unsalted butter. I would use Finlandia butter on apple scones. I would use it for biscuits or corn bread!!! I would put Finlandia butter on a nice hard roll and I would use unsalted butter to make oatmeal raising cookies. I would put it on homemade bread. I would put it on bread. I would bake a cake with it. This recipe looks great. I only use real butter and I can’t wait for this butter to be available in my area. I love that it is made with non- GMO ingredients. I’d use the butter on English Muffins. I would bake shortbread cookies. I would use it on my special recipe for homemade bread! I would put it on biscuits. Sounds yummy! 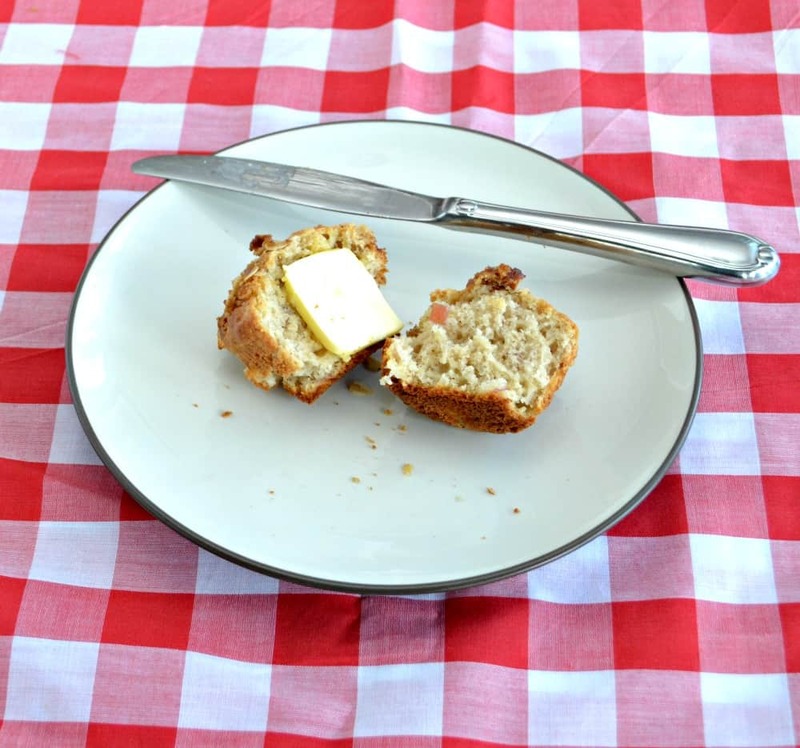 I love baking bread, and I’d make a loaf with honey and whole wheat to be lavished with this wonderful butter! I love making fresh rolls, and after they come out of the oven, I like to rub the tops with butter. Then also have this wonderful butter for serving them while the rolls are still warm from the oven. I loved your idea of the muffins. Fresh, warm muffins are absolutely amazing with some tasty butter melted on top. In my house though we are guilty of putting way to much butter on everything so butter doesn’t stand a chance around here! I have about a million baking recipes that call for unsalted butter so I’d definitely be using it in my baked goods! I would love to try the butter on pancakes! I would love to have it pancakes or in cookies. I would put it on banana bread. I would use the unsalted butter to make a yummy grilled cheese sandwich! I would love to use it to make my grandmothers family favorite Blueberry muffins! 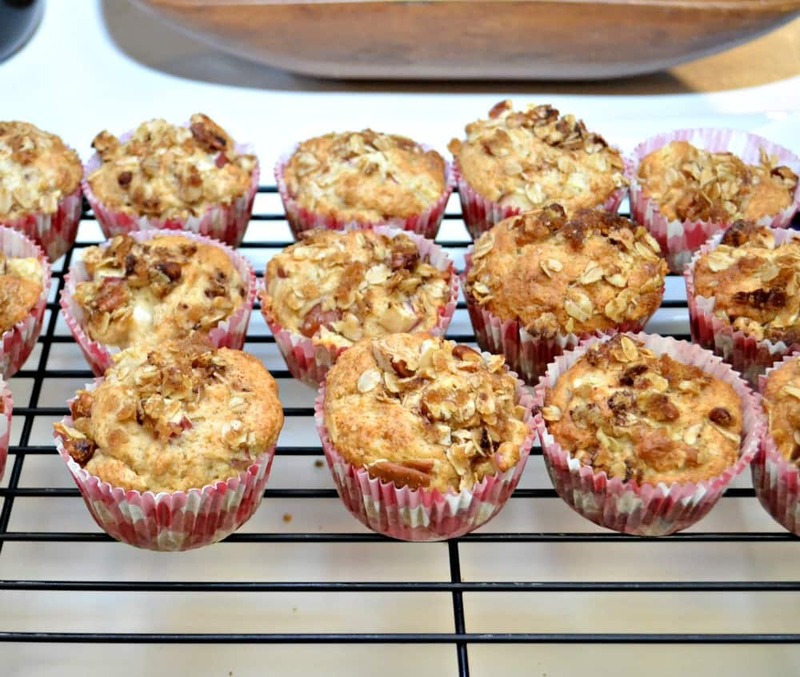 Although, I also printed your apple pecan muffin recipe, that sounds great too! 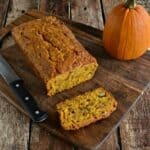 I would put it on my mom’s homemade bread…YUM! I would put it on top of blueberry muffins! I would love to use it to make banana bread!! 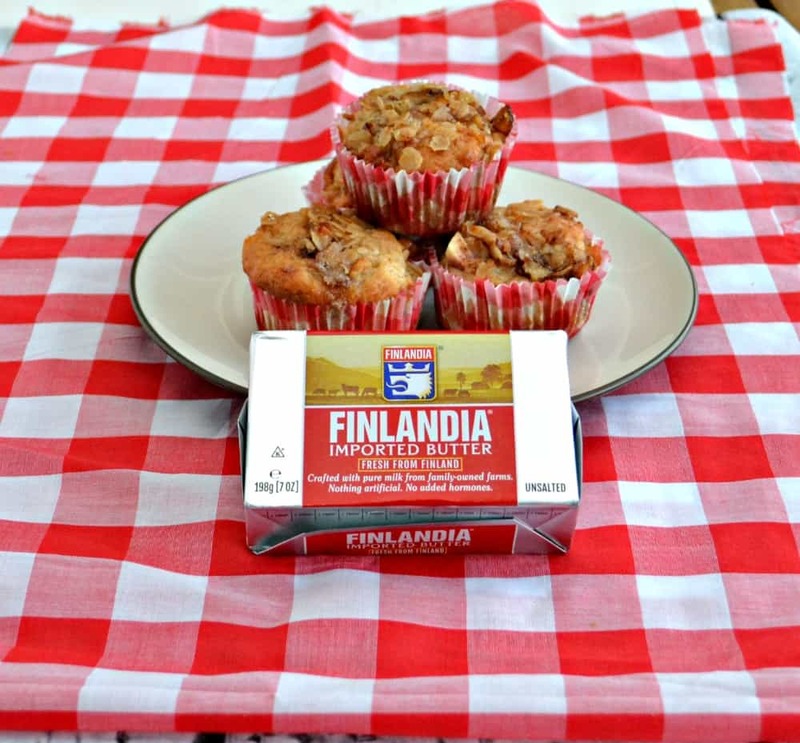 I would use Finlandia Butter on Banana Nut Bread. I would use Finlandia Unsalted Butter to bake cookies. I would use it on blueberry muffins. The unsalted butter would be good when baking chocolate chip cookies. totally use it to make cookies! I would put it on fresh baked bread…yum! 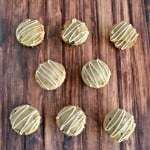 I like to try using it in a pineapple nut cookie recipe I have. Guess pancakes don’t count but maybe….a big 3 tier cake! I would put Finlandis Butter on some hot corn bread. I would bake banana bread. I would use it on a bagel. I would use Finlandia butter to cook my eggs an hash browns with. 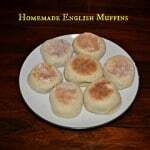 Then I would butter the English muffins with Finlandia butter. If you can spread it you can cook with it! I’d bake a loaf of banana bread! I would use the Finlandia butter on some freshly baked bread. I would make cheesecake with Finlandia unsalted butter. I’d put this butter on my fresh homemade bread! I would love it on my home made yeast rolls. I would like to bake cookies and cakes using the butter. I’d love to use this in baking cranberry orange scones.